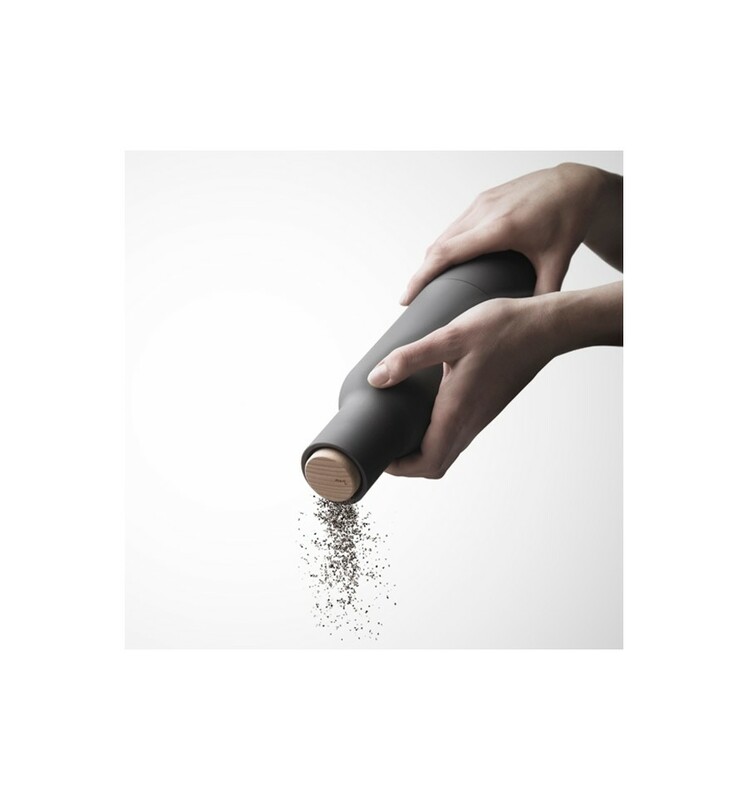 The minimalist design of the Bottle Grinder by Menu houses a highly functional spice mill with ceramic mechanism. 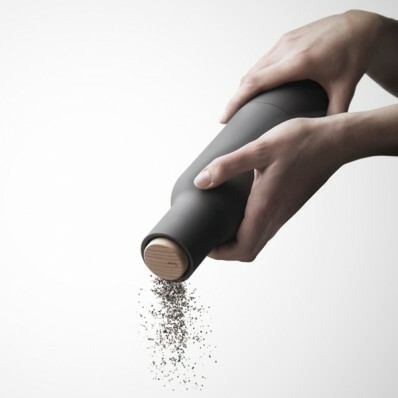 The grinder sits at the top so that salt, pepper and spices are only dispensed when you grind. In other words, no salt or pepper on the table when you set it down. The body of the grinder is made out of sturdy plastic covered in rubber, giving it a solid feel in the hand and it is extremely easy to fill the chamber with salt, pepper or the spice of your choice. Turning the wooden cap adjusts the coarseness of the mill.